This was our FIRST RV travel experience. 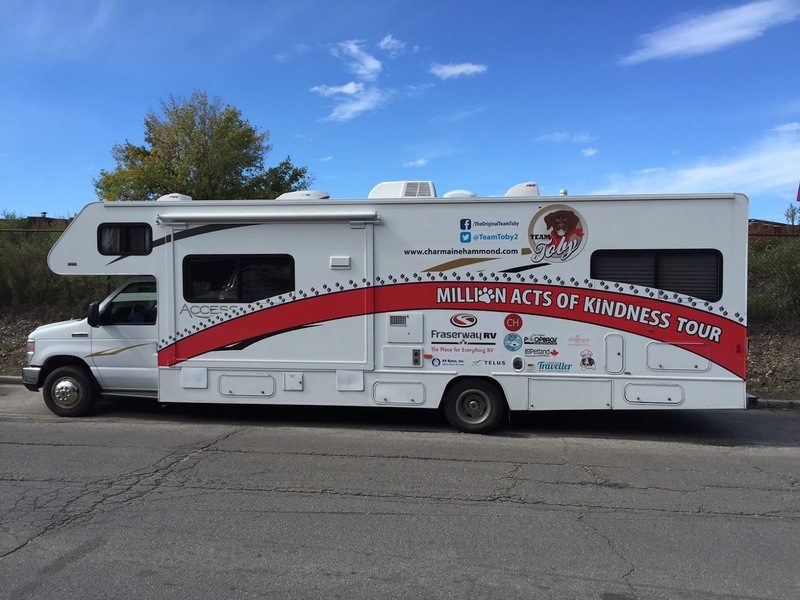 A beautiful 31 foot motorhome sponsored by Fraserway RV for our Million Acts of Kindness Tour. 4) what to bring and how to make it the best trip ever. We researched the communities, and thanks to Telus, who provided the WIFI for the RV, we could be online anywhere anytime! This was a HUGE help! We also found the KOA Campground guide to be a useful resource, it provides maps, KOA site details, and useful community information. Provincial and State Tourism webpages were also a big help in finding places to park the RV and camp, and attractions to visit. Now, preparing for RV travel was likely our bigger education as this completely new experience for us. The Fraserway RV staff were extremely helpful in educating us about the RV and provided great RV travel hints and tips. The RV comes with a very detailed book with tips, troubleshooting and contact information. We also completed the Preparation Checklists provided on the Fraserway RV website. These preparation checklists are extremely helpful when preparing to travel in an RV. The checklist about the Supplies Needed was extremely helpful. We also completed the Pre Trip Checklist and used this as a guide especially in the early days of travel. We felt much more confident when we drove away for the first time. http://www.fraserway.com/discover/blog/fraserway-blog/2015/10/08/have-dog-will-travel-5-tips-to-ensure-a-great-pet-friendly-road-trip Please share with people you know going on a pet friendly adventure in an RV. What is your BEST learning from travelling in an RV? What was your favorite place to camp or visit in an RV? 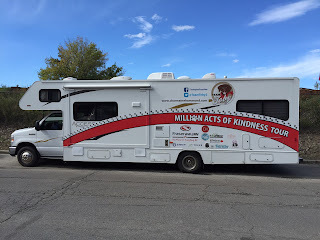 Follow our Million Acts of Kindness tour. Share the acts of kindness that impacted your life on our Kindness Matters Page.